For over 25 years, PestBear, Inc., a family owned business, has provided home pest control, residential protection, and lawn service to Florida residents. 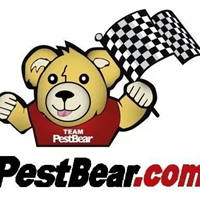 From our multiple locations across Florida, you can trust the PestBear name to provide thorough and effective pest control solutions for all possible pest, termite, and lawn service needs. We offer pest and termite extermination, rodent and animal removal, flea and tick control, fire/carpenter ant pre-treatments, in-wall pest tubes, termite pre-treatments, baiting systems, and other comprehensive solutions for residential termite control and pest control. Along with our superb pest control, we offer specialized lawn and ornamental shrubbery programs. Our licensed and certified technicians customize each service to meet the exact needs of individual lawns, trees, and shrubs. We provide the necessary treatments to keep southern lawns and landscapes healthy, strong, and, most importantly, GREEN. We take a different approach here at PestBear. We are the family company, and it is part of our mission to treat all customers like family. Taking the time to properly train our staff and constantly perform QA and on-the-job enhancement training is a must. Our technicians become adept in both pest control and residential termite control and extermination, as well as lawn service. Very reliable, friendly staff. Happy with my services. Never miss a month and gentlemen is very polite. So far so good, only my first month so far but the Guys were very professional and courteous. I have had some problems in the past, but things are better now. Their pest solution works we are bug free. They also stay in contact. I haven’t seen result yet because I just sign up. So I’m not not how to rate it. Service rep was very through. The guys that come out of great an the are really getting the pest under control. Never had a issue and the people always let me know if any issues or threadment I need. I am very satisfy with the services provided by pest bear. Please, keep up the good work! Best service. We have so many ghost ants and the pestbear did a treatment. Now we do not have any. Really good job. Very happy with them. Have used your service for quite some time and have been pleased with service, technicians, and payment methods. Steve always checks in with us and keeps us pest free! the tec. Mr.Alvino ,did a good job. Excellent, already reviewed on google. Russ was excellent, honest, explained everything. Thank you Pest Bear. Excellent! Please remember to email my invoice. I called for first time service and they sent a representative the next day when the rep came he explained everything to me about the pest around my house as well as termites he took his time with me and did the pest control the first day and the next day he installed the mechanism for termites. What quick service. Oh, the price for the annual service is reasonable. Lillian M.
Great pest control service and great customer service! Very professional and concerned about our property. Always friendly technicians who take the time to explain what they are doing and why. I have never had a bad experience. You always take care of any issues, most of the time before it becomes an issue. Thanks. Thomas was AMAZING!!! He walked through the house with me initially (pointing out where it would need to sprayed) to give me a quote. He did the same for outside as well! He was able to answer all the questions and was very easy to reach him when I added on an additional service! your company with out a doubt. already left a review in the last couple of days. serviceman was very helpful and courteous. Great service, very respectful and pleasant tech. Feel very comfortable with Pestbear for my main home and rental property, Nic was so professional and helpful! I couldn’t be more pleased with the service, yard and shrubs are looking great ! Always so responsive & knowledgable. Kevin is awesome!! We have always had answers or solutions to any question we have. Your representatives are always friendly and efficient. We have recommended Pest Bear to many people. We thank you so much for our service. I have selected Star 5, but it doesn't seem to respond.